FERRARI 126785, 140317. FERRARI 348 Spider 3.4 Convertible Petrol 03/1993 12/1995 RWD 32 320 235. FERRARI 348 Spider 3.4 Convertible Petrol 03/1993 12/1995 RWD 32 301 221. FERRARI 348 tb/GTB 3.4 Coupe Petrol 02/1990 04/1994 RWD 32 300 221. Removed from donor F355 with 5.2 Motronic Fuel System. Fits: Ferrari 355 (2.7Motronic), 355 (5.2Motronic). Genuine Ferrari 355 Fuel Pump Assembly. Ferrari Part Number:165267. Used - Genuine Ferrari - Working. FERRARI 360 / 430. USED GENUINE FERRARI 360 / 430. FUEL SENDER / FUEL PUMP. FITS ALL F 360 & F 430. 2016 - SteveStrange007 - Douglas Valley Breakers LTD.
FERRARI 550 MARANELLO 5.5 Fuel Pump In tank 96 to 01 Bosch. FERRARI 5__ MARANELLO 550 Coupe Petrol 04/1996 12/2001 RWD 48 486 357. FERRARI 5__ MARANELLO 550 Coupe Petrol 09/1998 12/2002 RWD 48 442 325. 2000 Year Ferrari F360 Fuel Pump & Fuel Level Sender. Removed from the RIGHT Side Fuel Tank. SALOON (W123) / 1976.01 - 1985.12. SALOON (W124) / 1984.12 - 1993.06. Fuel Pump Specs Fuel Pump Location: In-Line. Fuel Pump Connections GRANADA ESTATE (GNU) / 1977.08 - 1985.08. GRANADA (GU) / 1977.08 - 1985.08. Used Ferrari 360 Fuel pump. Rods & springs were removed,otherwise good pump. FERRARI 612 SCAGLIETTI. USED FERRARI 612 SCAGLIETTI. SILL KICK PLATES / SILL SCUFF PLATES. R/H AND L/H SILL KICK PLATES. 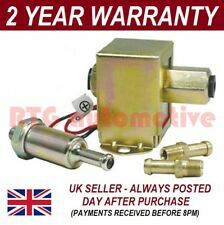 FERRARI TESTAROSSA Fuel Pump 0580254947 5 01/84-01/91. 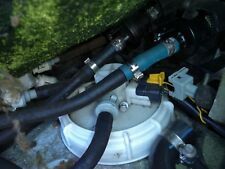 Fuel Line Electric without connector parts, Intake Manifold Injection/ Carburettor. FERRARI TESTAROSSA 5. Coupe / Petrol / Rear Wheel Drive. BOSCH WIPER BLADES & MOTOR. Part Numbers: 170428. 1999 FERRARI 550 MARANELLO. This has been taken from a 1999 Ferrari 550 Maranello. Belfast, Mallusk(BT36 4TY). Armagh, Moy(BT71 7JA). These yards are This item can be collected at no extra cost from one of our 3 yards. 612 SCAGLIETTI. FERRARI 612 CENTRAL BLOWER MOUNT & VENTS. USED FERRARI 612. Rare Lucas ‘Bomb’ L4100 730-00H 12V Fuel pump, as fitted to the Maserati 3500GT, Sebring and Mistral models, as well as the Ferrari 206 SP, in very good condition. (OEM Numbers: 155592 / 60543481 / 6054 34 810 / 6057205 / 60572050. FERRARI 155592. FERRARI 5__ MARANELLO 550 09/1998 -. FERRARI 5__ MARANELLO 550 04/1996 -. H3) 09/1992 -. H1) 09/1992 -. A) 06/1987 -. Ferrari # 95180130. Manufacturer Part Number 95180130. 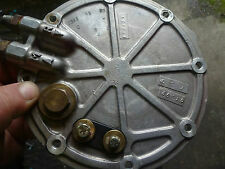 Used Ferrari 360 Fuel pump with round float. Rods & springs were cut down,otherwise good pump. MPN 7598007. Codice ricambio originale OE/OEM 7598007. Codice ricambio originale OE/OEM 134531. Ferrari F40 < span class = notranslate ' > 478 3.0 HP FROM 1988 to 1992. 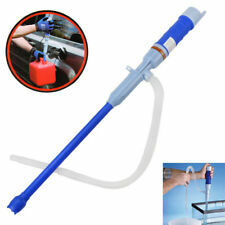 PETROL INJECTOR. CLAUDIO 3921093166. FERRARI 612 SCAGLIETTI. 612 SCAGLIETTI. FERRARI 612. RIGHT HAND SIDE FUEL PUMP. Douglas Valley Breakers, Site 1 Bradley Lane, Standish, Wigan, WN6 0XQ. RIGHT HAND SIDE / O/S. Part Numbers: 65460300. 2005 FERRARI F430 4.3 V8. This has been taken from a 2005 Ferrari F430 Coupé with 14,219 miles. Ferrari FF. AUXILIARY WATER PUMP. 360 Modena. Will also fit. 2011 Ferrari 458 Italia 4.5 V8. High Pressure Fuel Petrol Pump. Year: 2011 Fuel Type: Petrol. This has been taken from a 2011 458 but may suit other models. Model: 458 Door Plan: 2 Door. 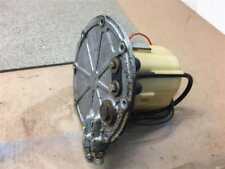 Make: FERRARI Transmission: 5 Speed. Part Numbers: 264802. 2011 FERRARI 458 ITALIA 4.5 V8. This has been taken from a 2011 Ferrari 458 Italia with 3,500 miles. RIGHT HAND FUEL PUMP HOUSING RUBBER. This item can be collected at no extra cost from one of our 3 yards. 2011 FERRARI 458 ITALIA 4.5 V8. This has been taken from a 2011 Ferrari 458 Italia with 3,500 miles. RIGHT OFF SIDE FUEL PUMP RING. Part Numbers:239497. This item can be collected at no extra cost from one of our 3 yards. LANCIA 5985559. LANCIA 7580213. LANCIA THEMA (834_) 2850 V6 i.e. (834F) 11/1984 -. FERRARI 126785. FERRARI 140317. BOSCH 0 580 254 011. BOSCH 69535. BOSCH EKP-4-1. SEL (126.036) 12-1979 -. 07-1991 2309 100 136 NG Sedan. 10-1991 1595 75 102 ABB Sedan. 07-1984 2144 100 136 KK Sedan. 09-1991 2226 100 136 KV Sedan. 07-1991 2226 100 136 KV Sedan. 07-1984 2226 100 136 HY Sedan. Ferrari fuel pump CALIFORNIA 458. 458 ITALIA/SPIDER. 458 challenge/Versione Speciale. Suitable for following Ferrari models. No internal wear and tear parts due to its electric plunger design. -Eliminates vapor lock. -Improves low temperature starting. Ferrari: Ferrari Testarossa -- 5.0 1984/05-1991/12 4942 ccm, 287 KW, 390 PS Ferrari Testarossa -- 5.0 1986/08-1991/10 4942 ccm, 272 KW, 370 PS NR OE: FP20034 121727 others. 2000 Ferrari F360 Right Hand Fuel Rail - 0 280 151 069 / 087052KF. 2000 Ferrari F360. This item has been removed from a Ferrari 360 that we have stripped for parts. Right Hand Fuel Rail - 0 280 151 069 / 087052KF. (FIAT 60543481, 6057205, 60572050. 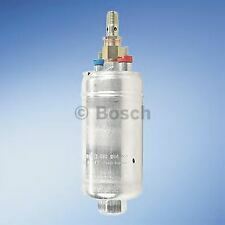 Fuel Pump In tank 0580464990 Bosch. Part Number 0580464990. FERRARI 155592. H3) Saloon Petrol 09/1992 09/1998 FWD 8 144 106. K1) Saloon Petrol 09/1992 09/1998 FWD 24 211 155. No internal wear and tear parts due to its electric plunger design. The red top has been color matched using a period Bendix competition red top pump as a sample and is silver zinc plated. The only difference is that our pump has M12x1.5 threads and not 1/4" NPT, very close in O.D. Part number Part.No: 239813. Fuel Petrol. Original Ferrari 360 fuel pump fuel pump pump left. Ferrari 360 F1. Manufacturer FERRARI. LH complete fuel pump. Model 360 F131. Produkttyp Kraftstoffpumpe Benzinpumpe Pumpe LH Complete Fuel.